← Our first house was brown. I enjoyed watching the royal wedding. I was invited to a royal slumber party, in fact, and had a fabulous time with four fabulous women. I wore my plaid pyjamas (royal stewart!) and we all had on white gloves, of course. 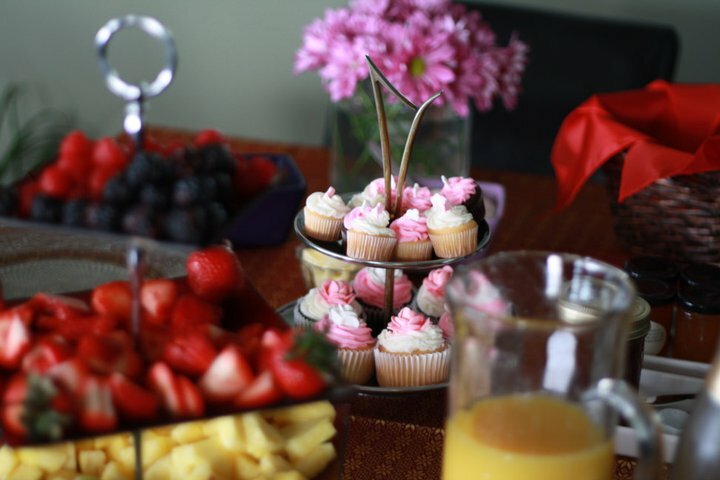 For breakfast there were mimosas, eggs in ham cups, fruit on a tiered tray, pink cupcakes, scones with clotted cream and homemade raspberry preserves. What made it truly divine was the PVR: we slept in and watched it at 9am! I was captivated by the gown, the music, the sermon (a theology of abundance!). Most of all, I was struck by the choice of flowers: lily of the valley. They were in the bride’s bouquet and on the lapels of some of the men, too. They were dainty, understated, lovely. When I was a teenager, I adored lily of the valley. We had a whole swath of it down one side of our house, crowded in between brick and lawn–the green leaves grew so thick they almost crowded out the flowers entirely. It was the smell of them that I loved, and I would go out and pick them by the handful to bring in the house. My mother had two small blue vases that were the perfect size and I would put one in the kitchen and one on my bedside table so I could smell them as I fell asleep at night. I don’t think I ever saw those vases used except to hold lilies in the spring. I haven’t read any commentary yet on why Katherine Middleton chose lily of the valley for the wedding. As beautiful as the scent is, I am sure that couldn’t be the reason–it would have been completely lost in that cathedral. Perhaps there was symbolic meaning behind it, or perhaps it was just her favourite flower. It doesn’t really matter to me. It was a lovely wedding and brought back a lovely memory, too. This entry was posted in Uncategorized and tagged flowers, food, memories, plants. Bookmark the permalink. I was thrilled to see the Lily of the Valley in the bouquet too! It brought back memories of my Auntie Jeri whose favourite flower it was. It is also one of my favourites for that reason and because it grows so well in my backyard without any assistance whatsoever! I do love plants that grow in spite of my neglect! I have heard so many great stories about your aunt–here is one more thing I like about her. And now I know whose house to visit when I need a lily of the valley fix! 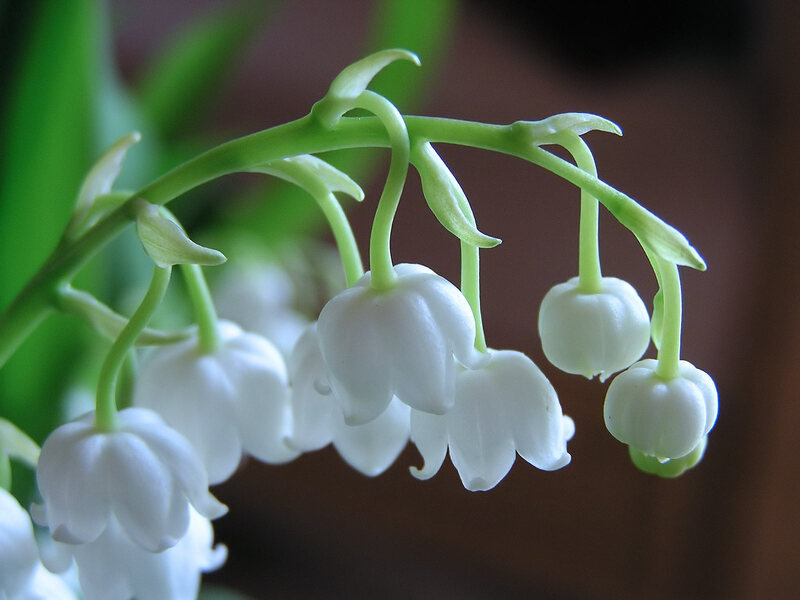 Hi, I really enjoyed reading about the Lily of the Valley. They are such breathtaking flowers. You are a fantastic and talented writer. This makes me think about the symbolism depicted with this flower and how Jesus Christ is referred to in the Bible as the Lily of the Valley. Your description of the Lily really encouraged me in this symbolism of Him. Thanks so much.